Earn PDUs by Volunteering for Global PMI! Advance your leadership skills! Whether you are new to volunteering or an experienced veteran, enhance your leadership skills using PMI Learn, our e-learning environment for PMI’s volunteer leaders. As a member, you can volunteer to work on, and to lead activities that advance the profession and the Institute. Go to: http://www.pmi.org/Get-Involved/Volunteer-Opportunities.aspx. Getting involved with PMI on a local or global level is simple. PMI's new Volunteer Relationship Management System (VRMS) makes it easy to search for volunteer opportunities throughout the world. 1. Log into the VRMS — if it’s your first time, see the VRMS Guide for detailed instructions on how to use the system. 2. Review your volunteer profile and update your service history. 3. Search and apply for opportunities that meet your interests and needs. 4. Once you apply, you will receive an email notification regarding the status of your application. 5. Come back regularly to update your volunteer profile and service history, and search for more opportunities. Not sure how you can help? Learn about the types of volunteer opportunities PMI offers. Join our active group of volunteers and support the development of the Project Management professionals throughout the Cincinnati Area while also making the most out of your membership and profession! Whether you are a new or long time member of the Chapter, a great way to get to know people in your profession is to get out there and become involved. Volunteering is not only a way to enhance your membership experience, but it also expands your professional network, improves your knowledgebase, all while helping you earn PDUs toward your certification. Collaborate. Make a difference. Stay current in the profession. Get recognition. Boost your resume. Earn PDUs. What's there not to like? 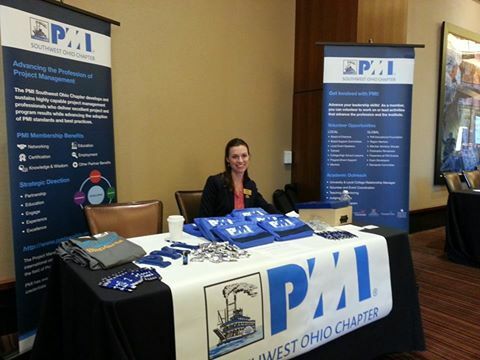 Click here to sign up to become a PMI Southwest Ohio Chapter Volunteer!